We view printing as a manufacturing process; and, as with any manufacturing process, consistency equals success. With consistency comes higher yields, greater productivity, lower costs and enhanced profitability. 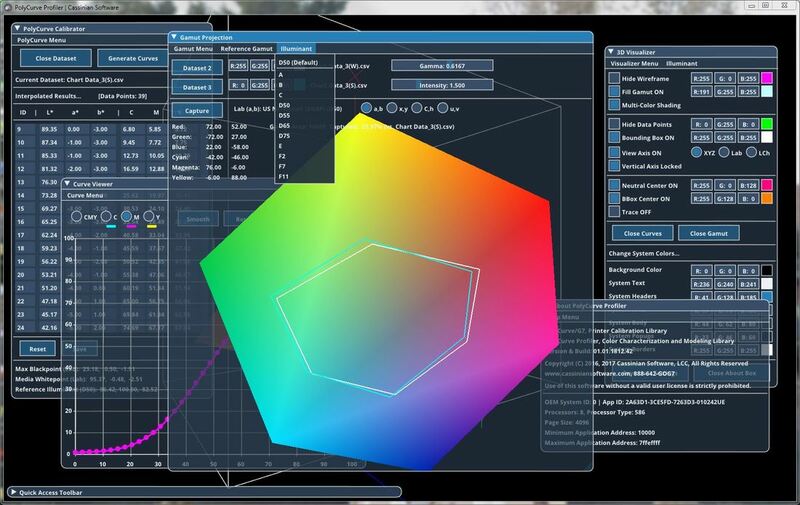 A good color management workflow built on process control best practices, that leverages objective benchmarks and industry standards, can achieve consistent output regardless of the equipment used or the personnel in charge. 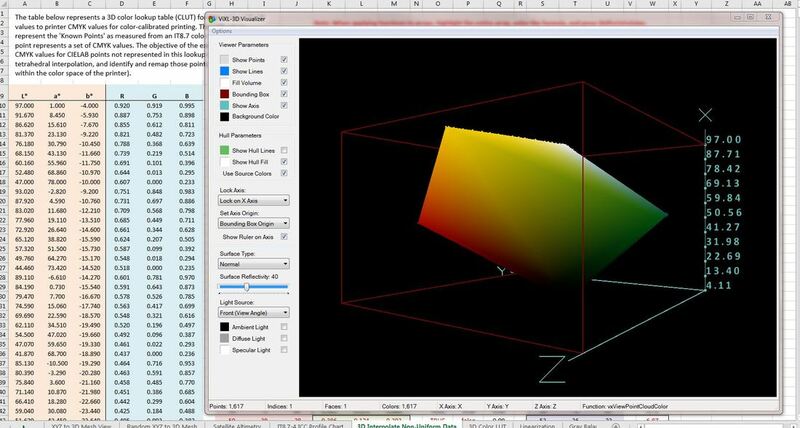 Cassinian Software develops software tools and utilities for calibrating, characterizing and validating color reproduction on commercial digital printing equipment, large format inkjet printers and inkjet proofers. We work primarily with printer manufacturers, OEMs and value-added resellers, as well as large corporate clients with in-house print production facilities. ​In addition, we provide consulting and instrument design services, contract engineering and custom software and firmware development. Our tools are used to calibrate digital print systems to match industry standards for color reproduction, and to maintain consistent color output through the use of standards-based process control in an ICC-driven color workflow. We offer solutions for printer calibration and characterization, profile validation, process control, variable dot optimization, and adaptive digital halftoning. We are G7 Experts and color management professionals, software developers and engineers with extensive experience in high-performance digital color printing. Contact us about direct licensing of our software tools and libraries. In addition to software, we have also a broad background in colorimeter and spectrophotometer instrument design, including low-cost embedded color sensors and multi-spectral macro imaging systems. 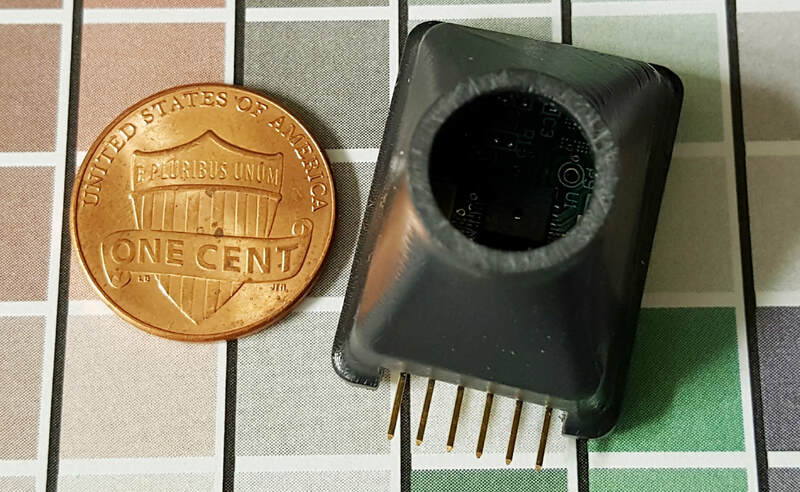 We have aided our clients in designing ultra-compact spectral instrument modules that mount inside printers and other machinery for automatic color calibration and process control. Along with software engineering, we provide hardware design services including schematics, PCB layout, BOMs for component pricing and procurement, mechanical engineering of housings and assemblies, CAD drawings, plastic parts and hand-built first prototypes, firmware, and assistance with custom optics, collimators, fiber optics and faceplates, filters, diffusers, and custom SMD LED assemblies. Cassinian Software, LLC was founded in June 2016 by Christopher Brown, after a near 30-year career developing image processing technologies for the commercial digital print and sign markets. A software engineer, Mr. Brown headed the Advanced Engineering Group for Mutoh Industries for 16 years, where he designed printer calibration and color management tools, RIP software, and miniature spectrophotometer modules for use inside inkjet printers. Mr. Brown holds multiple US and foreign patents relating to spectrophotometer design and use, spectral deconvolution, and inkjet printing. Prior to joining Mutoh, he worked on the development of PostScript RIP software, and calibration and color management tools beginning in the early 1990s for large format inkjet printers, which led to ongoing development of ever more sophisticated RIP software, digital halftoning and image processing tools, and calibration and color profiling utilities that continued through his tenure with Mutoh. Cassinian Software is the culmination of that experience. Mr. Brown is the founder of Cassinian Software and the creator of ViXL-3D and PolyCurve, and leads the project teams responsible for these products.